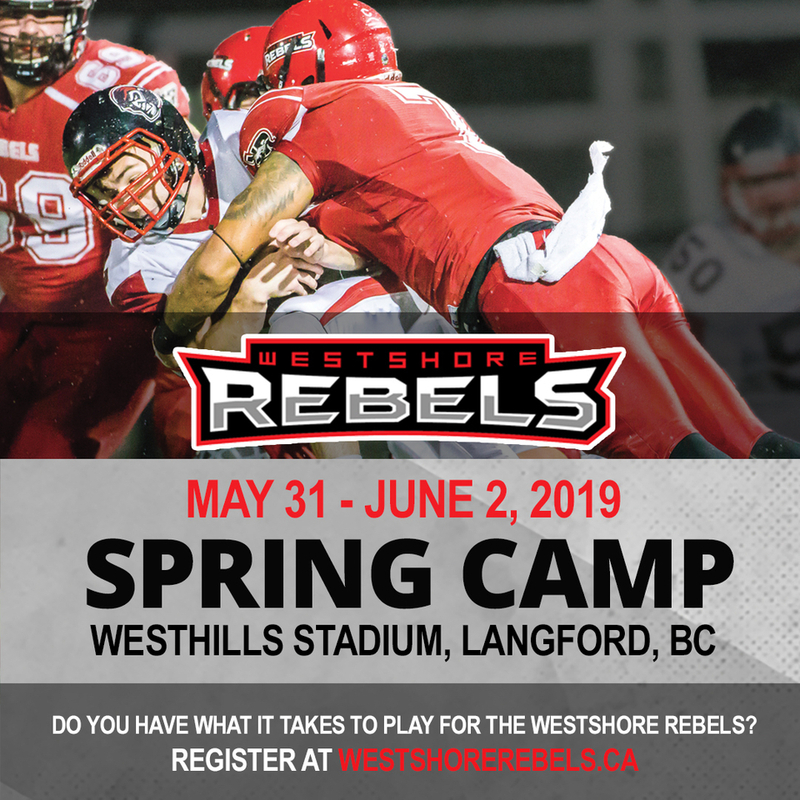 Our Spring Camp is open to any player who thinks they have what it takes to play for the Westshore Rebels. All returning players are required to attend Spring Camp and must register ahead of time. Junior Football is for players 17-22 years of age (born 2001 or later). You must be a Canadian citizen or permanent resident to play. Non-citizen's may be eligible to play if they attended at least two years of high school in Canada. 1. If you are not a returning player please complete the prospective player form below (past players do not need to complete the form). Your application has been received. Only those players who qualify will be contacted with an invitation to our Spring Training Camp.